Overwatch entered BlizzCon 2018 with a bang, as Blizzard invited the gun-slinging outlaw Ashe to the party. However, in the world of Overwatch, everyone is always looking ahead. 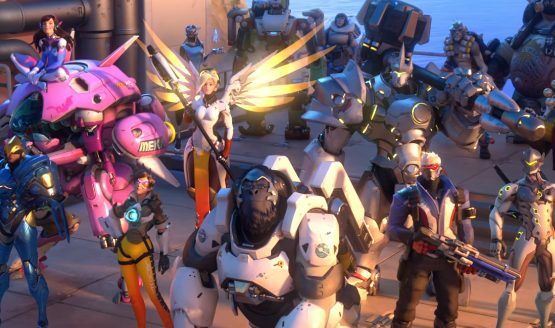 No one more so than Director Jeff Kaplan, who revealed that, unsurprisingly, there are already plenty of characters waiting to get introduced. In an interview with Eurogamer, Kaplan said the team at Blizzard already had six more Overwatch characters planned out. One of them is Echo, who debuted in the same animated short as Ashe. The way Kaplan talked about her on-stage made it seem likely she would become playable, although there’s no guarantee she will be introduced immediately after Ashe. “We have our next six heroes planned out right now which, for us, is years. She, tentatively, is one of those heroes,” he told the outlet. Knowing the way Blizzard works, we may have already seen some of these heroes in other forms of Overwatch media. Let the speculation begin, everyone!